Buying a home for the first time can be an exciting, nerve-wracking, and life-changing experience. And in a competitive seller’s market such as the Atlanta metro area, being prepared and playing your cards right are the secrets to buying that coveted dream home. Here are a couple of home-buying tips I’ve collected that will definitely help if you’re a first-time home buyer. Identifying the type of home that best suits your needs early on helps you narrow down your search effectively. Some of your options include a single-family home, a multi-family residence, a townhouse, and a condo. Go through the pros and cons of each type and think about whether they fit with your homeownership goals. 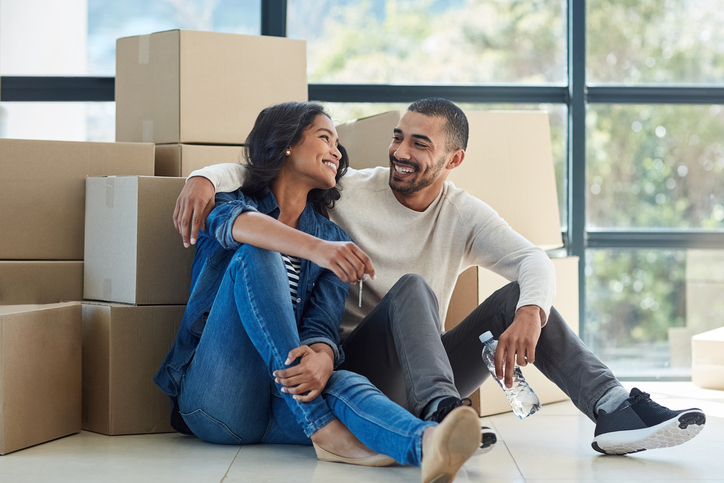 Aside from narrowing down your home search, knowing exactly the type of home you’re looking for allows you to think about how to finance it. And in a hot seller’s market like Atlanta, the more prepared you are, the better. What do you want in your home? It could range from basic features and neighborhood to luxury amenities such as a gourmet kitchen or a wine cellar. List down the specific features you want in your home then categorize them into Must-haves and Negotiables. Take your needs into consideration. If you can do away with a home feature, list it under your Negotiables. It’s important to leave some room for flexibility and compromise here. When you’re buying a home, I highly recommend securing your financing and pre-approval early on (before you even go shop for a house). Getting an idea of just how much you can get from a lender allows you to set realistic goals and expectations. If you’re not satisfied with the mortgage you qualify for, view it as an opportunity to improve your credit score and finances so you can secure a higher amount down the road. How much you can afford is a different thing. Aside from taking into account the mortgage you qualify for, consider all the other considerations that go into buying and maintaining a home. This includes your down payment, monthly amortization, property taxes, home insurance, closing costs, and so on. What you don’t want is to purchase a home that actually costs you more than you can afford. You don’t want your first home to drain your bank account or force you to cut back on expenditures that will severely curtail your lifestyle. You’re a first-time home buyer, and chances are you don’t have a good grasp of the local real estate market (especially if you’re relocating from somewhere else). It’s not enough to search the web and read articles – you need a real estate agent to guide you throughout the whole homebuying process. Atlanta metro area is a competitive seller’s market. That means there are more home buyers than there are available houses for sale. If you find a home that you like – and fits your budget – and it reveals no significant issues during inspection, close the deal. However, if an inspection yields numerous problems, don’t hesitate to move on. I would love to help you find your first home in the Atlanta metro area. Get in touch with me today to learn more about Atlanta metro real estate.